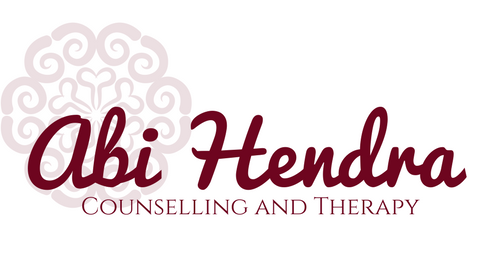 Why choose Abi Hendra Counselling? When you choose to come for a counselling session here you will experience an integrated, holistic, embodied approach to counselling. I work using what is called a Relational Centred Approach. Relational Centred Counselling is supported by research and draws upon modern developments in psychoanalytic, psycho-dynamic and humanistic theories. This contemporary, integrated approach enables me to tailor a unique therapeutic plan to suit your individual needs. This I feel, gives you the best possibility to achieve your therapeutic goals. I first qualified as a Hypnotherapist over 9 years ago. Since then I have gone on to train as a counsellor in Relational Psycho-therapeutic Counselling at one of Wales foremost psychotherapy training institutes – The Welsh Psychotherapy Partnership in Cardiff. I have experience working as a counsellor in private practice and also in various charity organisations within South Wales. I frequently attend training events to ensure I keep my skills and knowledge up to date to provide my clients the very best care and support I can. I receive regular supervision by an experienced senior psychotherapist and am currently working toward accreditation with the UKCP, the UK’s leading professional body in psychotherapy and psycho-therapeutic counselling. I abide by the ethics and code of practice as set by the UKCP which can be downloaded here. There is no dedicated car park available. However, free parking is easily available in the surrounding streets. If you are still unsure or have any questions about how I work or how counselling can help you, please feel free to ask. I assure you that all contact is confidential and I aim to respond within 24 hours. Long and short term counselling is available. For more information or to book your first appointment, please get in touch below.